Provincetown in summer is a bustling place. The narrow streets are crowded with tourists. Even 100 years ago when the fishing industry provided year-round income for families, the tourist trade was important. 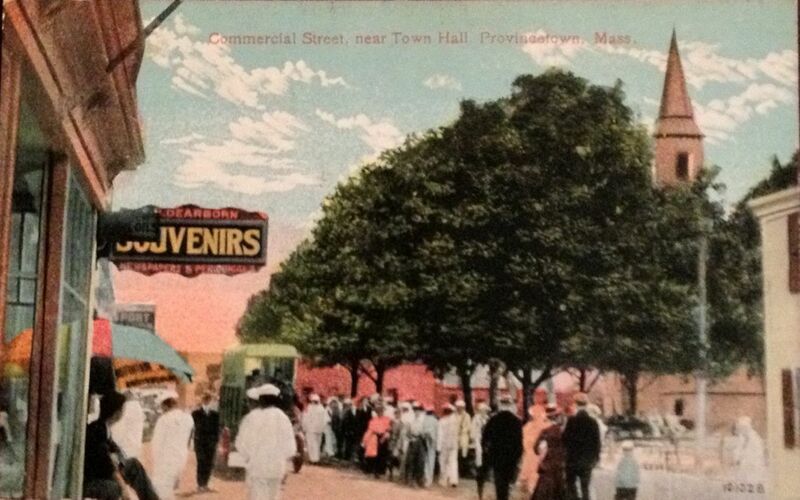 Souvenir shops that sold postcards, like this one shown above, as well as collectible souvenir spoons, plates, paper weights, and glasses provided seasonal income for local residents. Servicemen in the Coast Guard and Navy would come into town to see the sights that included fine restaurants, bars, and entertainment. The T-shirt shops came later! Town Hall in this antique postcard is partially obscured by the thick foliage of the trees, but it looks very much the same today as it did back then. 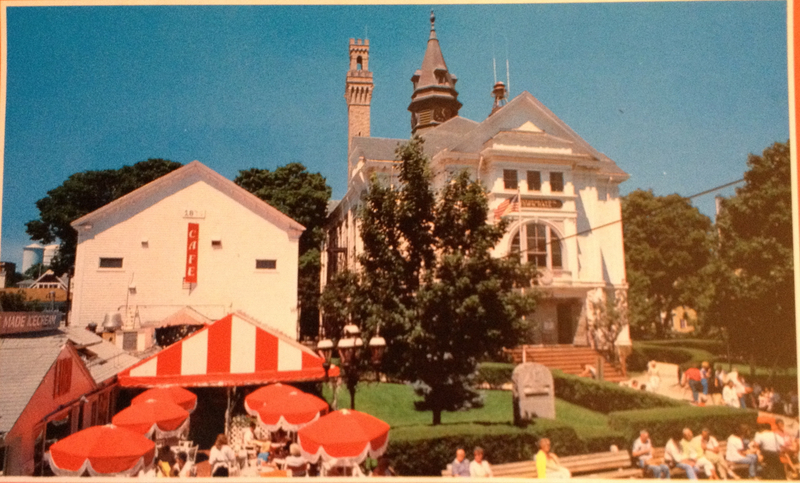 In 1990 when the novel Remaining in Provincetown takes place, Town Hall was painted white and one of the characters has their office inside. Which one? You’ll have to read the book to find out.